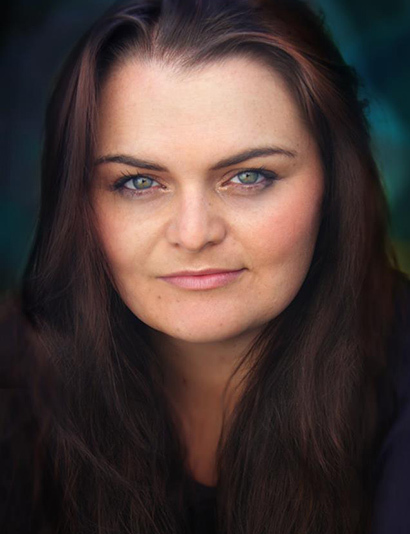 A graduate of the Full Time Acting Program at the Howard Fine Acting Studio, Melbourne with on­going study with the faculty of HFAS Australia, Falon Ryan is one of the new faces emerging on the Australian acting scene and doing so with great passion and drive. While completing the Full Time Acting Program at the Howard Fine Acting Studio Australia in 2015, she submitted an example of her scene work into a global challenge through the online learning portal, Masterclass.com and, as a result, was one of two artists in Australia selected to personally speak with Dustin Hoffman via Skype about her work, discussing the challenges and joys of acting and performance and the industry generally – a conversation that continues between them one year later in an informal mentor/mentee arrangement. In May, 2016, she debuted as co­director for The Annual Ball: The Ball, The Hall, The Gown and The Music and is currently preparing for her first performance as an actor and director in the cutting­edge realm of virtual reality. Falon continues to develop further through HFAS on plays such as Rabbit Hole, Three Years from Thirty, The Female Odd Couple, Les Liaisons Dangereuses, Anything For you, Savage in Limbo and I Ought to be in Pictures. Shakespeare Republic marks Falon’s first on-screen role.